As the conventional ideology of “high risk, high returns” continues to be both – challenged and embraced by investors, some case studies suggest that lower risk investments can defy the adage and gain better returns over time. In our recent article, we explored the difference between two investment products – corporate bonds and Short-term Listco Notes (STLN). One similarity between both products is that the issuers are companies which are listed on the SGX-ST. So what are some of the general characteristics of such issuers? Companies listed on the SGX-ST (or Listcos for short) are heavily regulated by the SGX-ST and thereby held more accountable to their shareholders and lenders. Under the Catalist Rules and Mainboard Rules of the SGX-ST, companies listed on the SGX-ST are compulsorily required to announce their quarterly and annual financial statements to the SGX-ST within 45 days after the end of the quarter or 60 days after the end of the year (as applicable).In addition, under the Catalist Rules and Mainboard Rules, it is requisite for these companies to immediately announce to the SGX-ST any material events including joint ventures, mergers or acquisitions; the acquisition or loss of significant contracts; the public or private sale of additional securities of the Listco; or the borrowing of a significant amount of funds.This enables investors to obtain more information about the operations and financial profile of a ListCo issuer. The Code of Corporate Governance (which is under the purview of the SGX and the Monetary Authority of Singapore) sets out a number of recommended principles of corporate governance practice including the appointment of independent directors to the board, fair dealing policies, and internal audit processes.Under the Catalist Rules and Mainboard Rules, Listcos are required to disclose their corporate governance practices and provide explanations for deviations from the Code of Corporate Governance. They are also subject to higher levels of corporate governance disclosures than companies which are not listed, and this also enables investors to obtain more information about the operations of a Listco issuer. As described above, Listcos are required to announce their quarterly and annual financial statements, and to immediately announce material events including the acquisition or loss of significant contracts – giving investors a better understanding of the company’s operational progress. Listcos having already gone through the rigorous process of listing have wider avenues of financing available from both equity and debt capital providers. As listed companies, they have immediate access to the public order accutane online equity markets for fund raising. This means that a channel for raising equity financing from public investors is available for them to tap. STLNs, therefore, offer a different risk-reward profile from private unlisted companies and offers a useful additional tool to the prudent investor for diversifying and managing the investor’s portfolio. In the risk-reward paradigm, it follows that the higher the risks, the higher the expected returns. Returns expectations therefore commensurate with an investor’s perceived measure of risks. In the assessment of risks, one needs to consider accompanying mitigating attributes, else expectations of the required returns may be inflated and opportunities might be missed. The success of any investment depends on two factors: the balance between returns and risks. Having a well-diversified portfolio with instruments of various riskiness can balance the act between investment returns and risks. STLNs is a new investment instrument that can add diversity and interesting properties to your portfolio. Interested in earning attractive returns? Join over 11,000 investors who are helping the Singaporean economy whilst improving their financial portfolios. Whether you are an institution, individual, a wealth manager or a financial advisor, the MoolahSense Investor program is meant for all. Simply Register online and participate in any of the available campaigns. For more information, call us on +65 6871 8780 or email us at updates@moolahsense.com. Does your business need a loan? Our dedicated Business Services team has assisted over 200 companies from a variety of industries secure loans. Whether you need to expand your business or require a working capital, the MoolahSense platform is here to help you reach your business goals. Register online and get access to over a growing investor pool. For more information, call us on +65 6871 8780 or email us at business@moolahsense.com. DISCLAIMER: MoolahSense does not give investment advice, provide analysis or recommendations regarding any offering posted on MoolahSense’s platform. 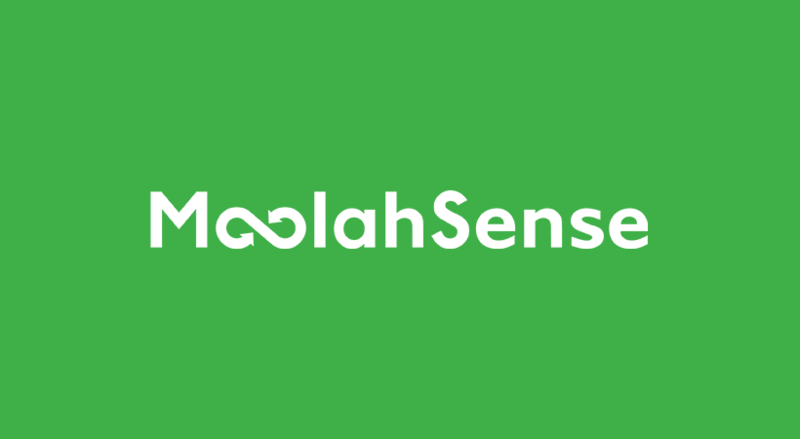 The content and material available on MoolahSense’s platform and social media are for informational purposes only and should not be regarded as an offer, solicitation, invitation, advice or recommendation to buy or sell investments, securities or any other financial services or banking product. An investment in securities is subject to investment risks, including the possible loss of the principal amount invested. You should not invest in the securities offered unless you fully understand the risks and are prepared to take the risks. You should carefully consider whether this investment is suitable for you in light of your knowledge and experience in financial and business matters, investment objectives, financial means and the risks that you are prepared to take.